"The Enforcer" Heavy Duty Forklift Magnet | Shelving, Inc. Designed for use in extreme situations. Mounts easily to almost any forklift. Over 200 lbs. per foot of lifting power. Strong grade 8 permanent magnets. Works on smooth and rough surfaces with Lifetime Guarantee. 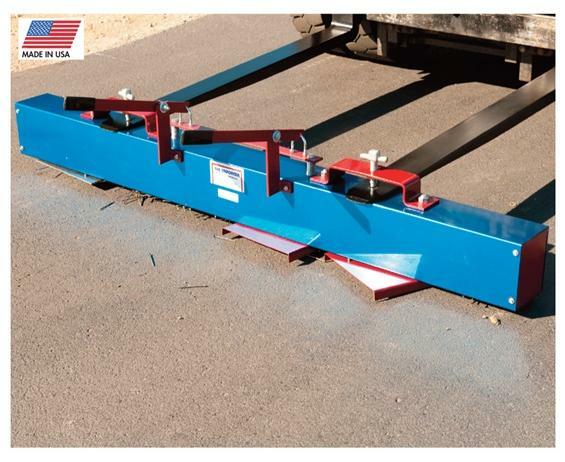 Magnetic sweepers remove massive amount of nails, screws, bolts, tin and other debris from worksites. "The Enforcer" is constructed with a heavy-gauge steel frame and stainless steel base. 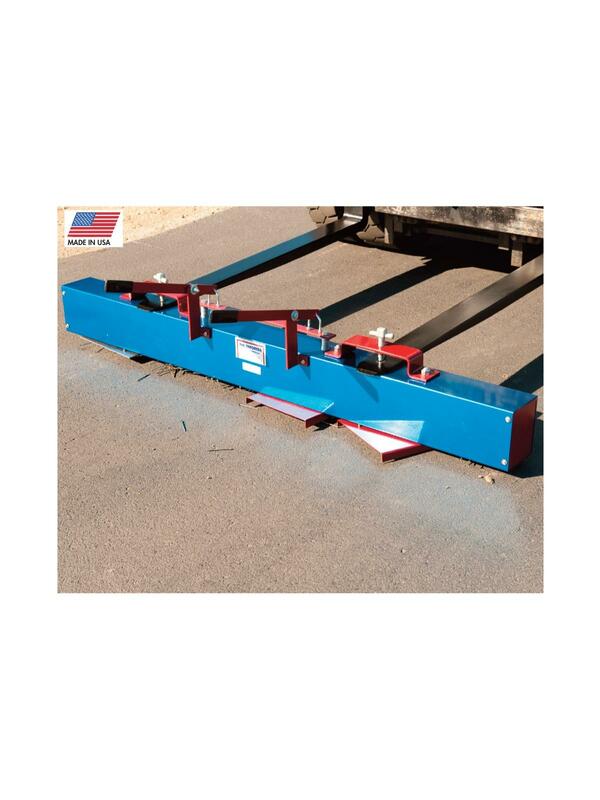 Simply clamp the unit to your forklift and grab large amounts of tire-damaging metal debris quickly. When the unit is full, rotate the release plate and the debris falls to the ground. Tubular Frame: 5-1/2"W x 7"H. Total Height: 39" base to top of winch. Base Area: 792 sq. in. for HFM72, 845 sq. in. for HFM96. Fork Pockets: fit up to 8"W forks. Forks Mounted: 36" center-to-center. Height to top of T-bolt: 12". Overall Height to top of release lever: 17". Overall Width including release lever: 21". FOB Shipping Point.